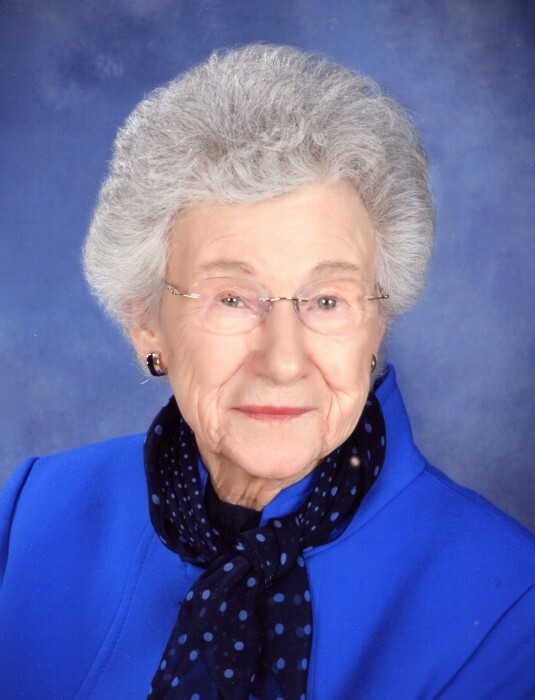 Mrs. Pauline Tally Garrard, 93, passed away on Friday, April 5, 2019. She was born on November 9, 1925 in Cumberland County. Pauline was preceded in death by her loving husband Floyd Garrard. She is survived by her daughter, Fran Grady (husband Bill), her son, Steve Garrard (wife Beth); four grandchildren, Mike, Allen, Matthew, and Jason and two great grandchildren. Wherever Pauline was, she lit up a room with her stories and laughter. She was a great listener and always had words of wisdom that would make you feel better. She loved playing and teaching duplicate bridge and was an ACBL Life Master. Pauline was an avid reader and loved crossword puzzles and classic movies. She was a member of Haymount United Methodist Church since its beginning. She will be missed dearly by everyone whose lives she touched. Her visitation will be held from 6 to 8 p.m. on Wednesday, April 10, 2019 at Rogers and Breece Funeral Home. The funeral service will be held at 11 a.m. on Thursday, April 11, 2019 at Haymount United Methodist Church with Rev. M. Francis Daniel and Rev. Ben Wolf officiating. Burial will follow the service at Forrest Lawn Cemetery in Greensboro at 3:30 p.m. In lieu of flowers, the family requests memorials be made to Haymount United Methodist Church, 1700 Ft. Bragg Road, Fayetteville, NC 28303.